The Apprentice is a BBC reality TV programme in which a group of candidates compete to win an investment in their own business from business tycoon Lord Alan Sugar. Each week the competitors are split into two groups to complete a different business challenge. To begin with, the groups are split into men versus women. Each team appoints a ‘project manager’ to lead the task, and if the team loses, that project manager must take two other team-member into the boardroom with them to face Lord Sugar’s questioning. 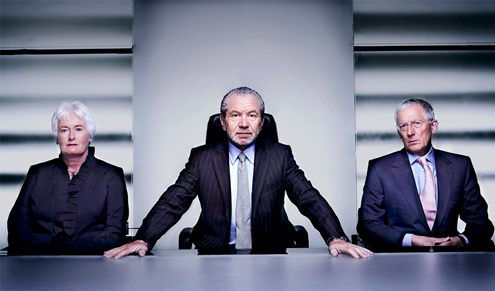 Ultimately, one of the three will be ‘fired’ by Lord Sugar. The transcript below is taken from the first episode of series 9 (2013). The transcript covers about four minutes of the programme (split into two sections) and can be viewed on Youtube.